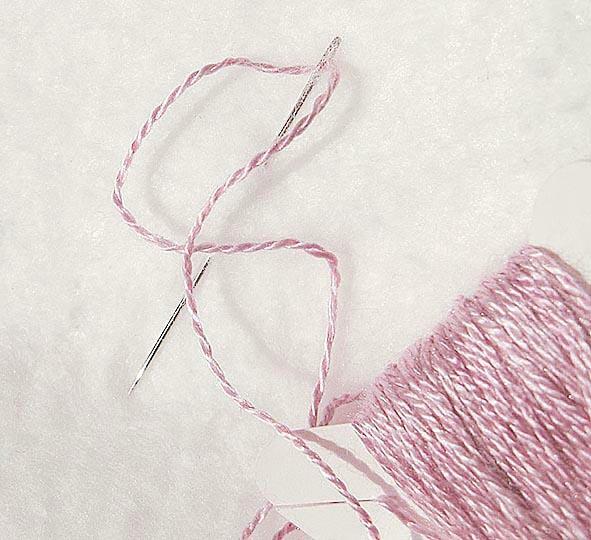 This spun silk yarn or thread has been hand dyed a pastel shade of lavender pink. 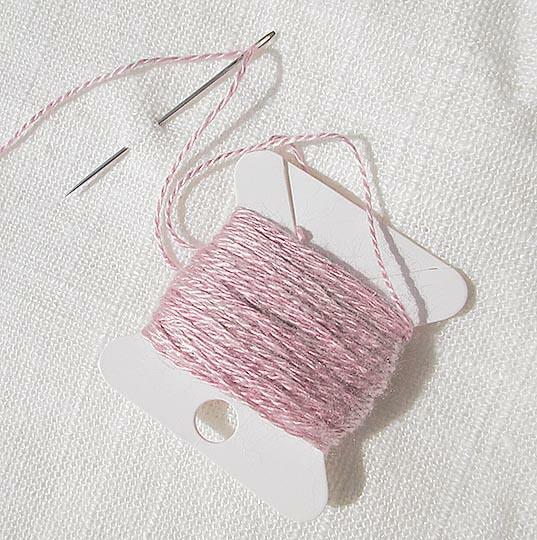 The thickness of this lace weight, two ply pure silk yarn (20/2) is less than 0.039 of one inch, and I have included a sewing needle in several of the images to give you perspective on its thickness. "Thread" and "yarn" can be confusing and misleading terms and generally don't relate to how the silk looks, how thick it is or how it can be used. 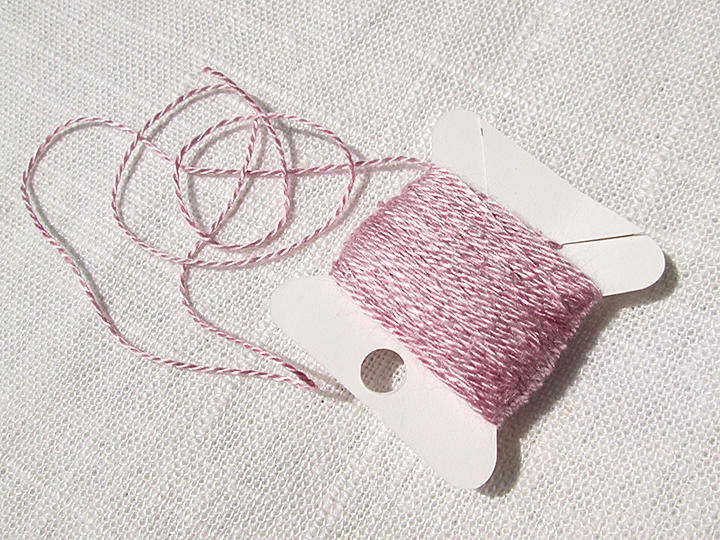 The thickness of a silk "yarn" can actually be much less than that of a human hair and in some cases, almost invisible. When dyed, this silk yarn has a very high sheen, and it is wonderful to use for hand embroidery. 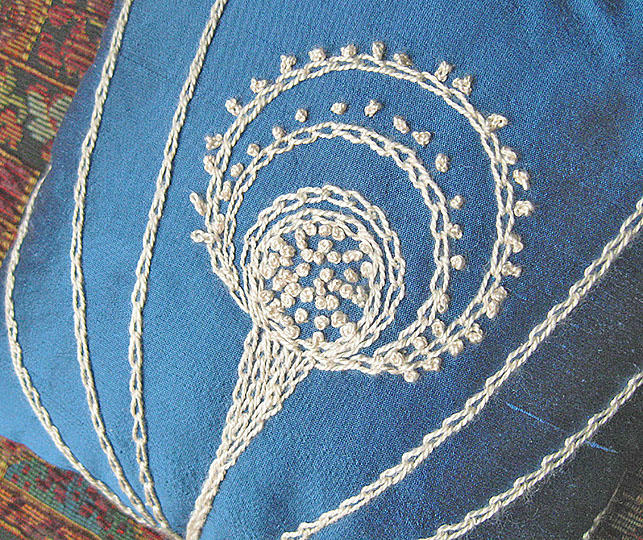 The last image shows the embroidery I did on a silk dupioni pillow using this silk yarn in its undyed state. You will receive 10 yards of this silk yarn contained on one flat paper bobbin, and the yardage won't have any knots in it. I photographed the silk in natural light without flash. Your silk will be carefully packed, wrapped in plastic and shipped first class mail with tracking. I do combine shipping cost, so you can save money if you purchase additional items at the same time.